Small and medium private health care providers are valuable partners in scaling up health financing programs that support universal health coverage. However, it is often challenging for them to participate because they have fewer resources and the process can be arduous and costly. 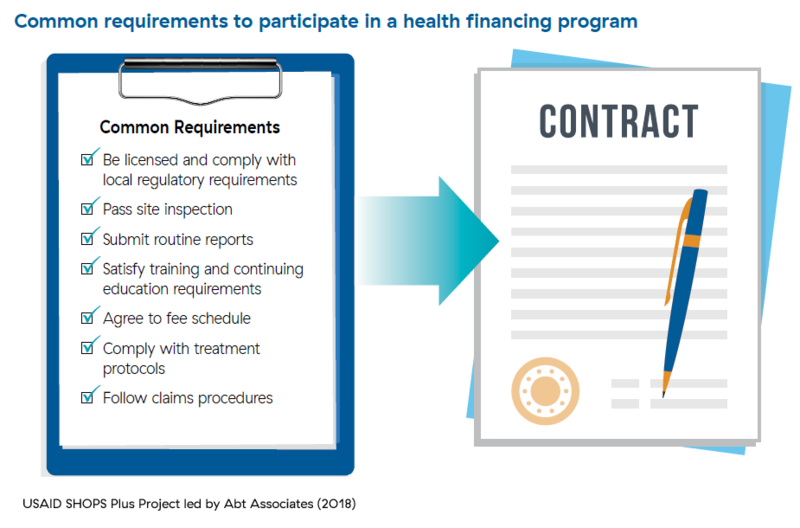 The requirements and processes for these providers to participate in health financing programs, and the ease (and pitfalls) of doing so have not been well documented. This brief presents the experiences of small and medium providers who participate in health financing programs, particularly government-sponsored programs. It cites examples from the Dominican Republic, Ghana, India, Kenya, the Philippines, and Tanzania.